My Logitech G602 died. RIP. I’ve been using the G602 as my primary mouse since 2013. It saw service as both a general desktop gaming mouse and for gaming. The G602 shined as an everyday mouse. It fit my hand reasonably well and had an awesomely long battery life for a wireless gaming mouse. I love the freedom of being cable-free, particularly when gaming. I used NiMH rechargeable batteries which only needed changing every 3-4 months. It wasn’t perfect for gaming, however, with weight being the primary issue. At 152g with the batteries installed, the G602 has a noticeable amount of inertia. That’s not a big deal to me since I don’t play games competitively, but I still noticed the weight. I like wireless mice and initially thought to buy another G602. I ended up getting one of the new G900s instead. 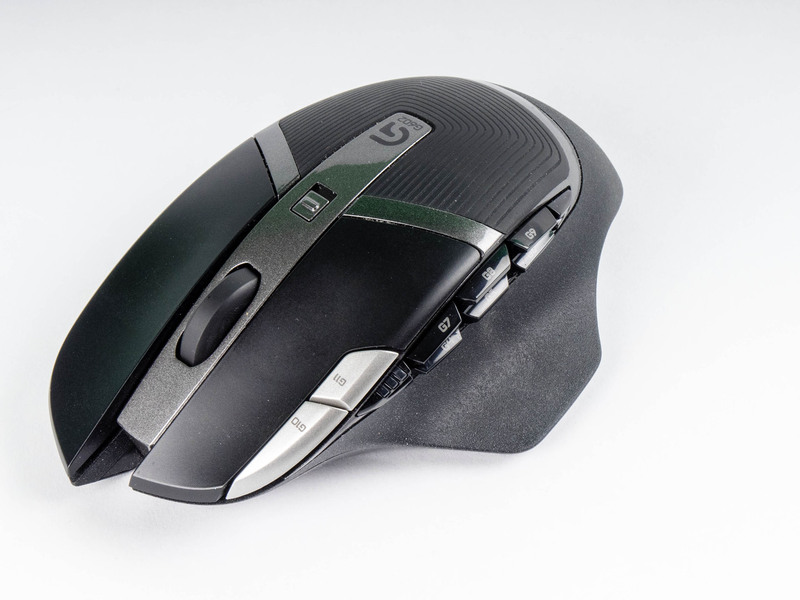 The G900 uses proprietary wireless technology to reduce latency. Wes Fenlon wrote cool article covering the issue of latency in gaming mice, including more detail than you’ll ever want to know about how to measure mouse latency. Mouse Lag and latency are pretty much non-issues with the G900. Battery life, however, rears its ugly head. 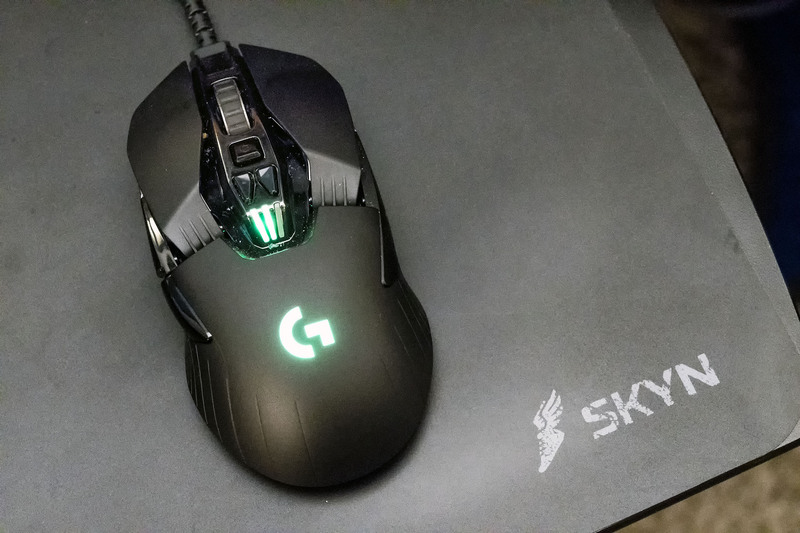 The G900 uses an advanced optical sensor can track up to 12,000 DPI while consuming a bit more power than typical mouse sensor. That translates to an effective battery life of about three days. 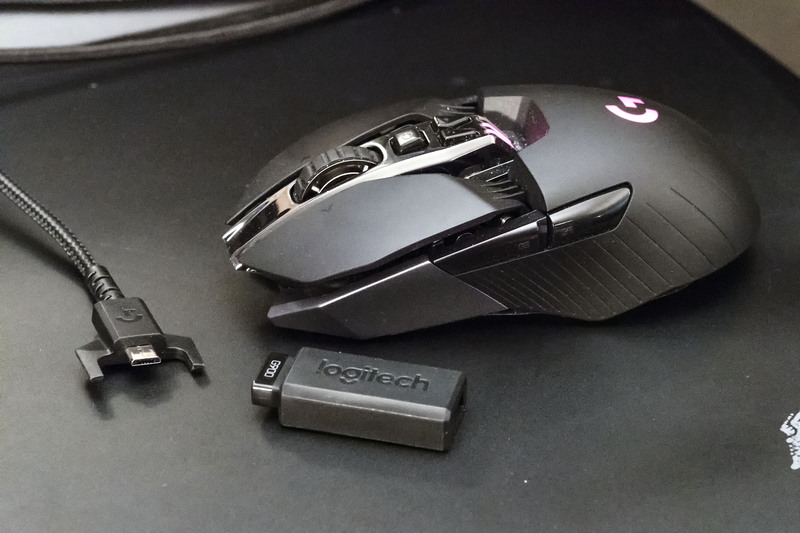 Logitech wanted to keep the weight down, so used a small, non-replaceable battery. The USB charging cable includes small guides to latch the cable into place when charging the battery behaves like a relatively standard braided USB cable, so it’s not awkward to use while connected. I tend to use the mouse in connected mode for normal daily use, then disconnect it for when playing a game. On the other hand, the G900 weighs just 107g — much lighter than the G602. The G900 is symmetric so can be used by both right-handed and left-handed folk. The forward/back buttons on the side are magnetic and can be moved to the other side to suit whichever hand is used for the mouse. Logitech supplies a couple of extra magnetic buttons just in case you want buttons on both sides. As with most such devices, the G900 ships with software allowing users to programmatically set button functions, change the DPI settings, and adjust the LED color scheme. Logitech also placed the DPI shift buttons just below the mouse wheel which makes shifting back and forth easier than the G602, which awkwardly placed those buttons adjacent the forward/back buttons on the side. The wireless dongle included with the mouse is pretty big — roughly the size of an average USB flash memory key. You use it by attaching the charging cable to the dongle instead of the mouse; the guides on the micro-USB connector make it fairly painless, but I long for the day when USB-C style connectors become prevalent. I can’t speak to how the G900 would perform for a competitive gamer, but after a few week’s usage, I’ve grown accustomed to the somewhat smaller size compared to the G602. I also love the responsiveness made possible by the lighter weight. However, it’s not cheap — the list price comes in at $149, and the best price I’ve seen so far is $129. 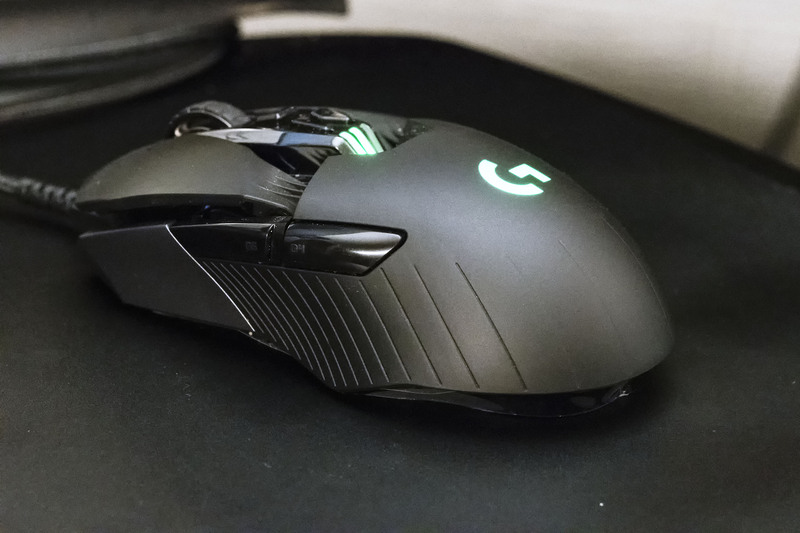 You can get almost the same level of performance if you’re willing to go cordless with the relatively new G502 Proteus Spectrum, but that mouse isn’t symmetric. Competing mice from Steelseries, Razer, and others offer similar performance, but I’m happy enough with the G900 that I’ll just stick with it for the time being. You know you can run the g602 off of one AA battery? Cuts the weight way down!